Now that many women are having their first child in their 30s, many men in their 70s are spending time with toddlers or pre-school kids. For most grandfathers, this means doing puzzles on the living room floor or pushing their grandchild on a swing. I do all that but I do a lot more with my three-year-old grandson. I often take him to his pre-school, which is a 25-minute walk from where he lives with his mother in Washington Heights in upper Manhattan. One day it was drizzling when we left for school. 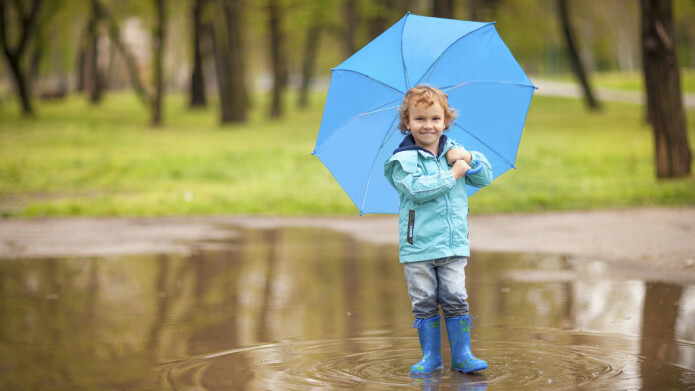 The drizzle was manageable–my grandson was wearing a coat with a hood and I was wearing a baseball cap–but soon it started to rain hard. I took out my umbrella, but it didn’t protect my grandson unless I held it horizontally. But when I held the umbrella in this way, I couldn’t see in front of me, so every five seconds I jerked it up to make sure I was not about to run into someone. Soon I decided to jog–a bit risky because I was going downhill. What if I tripped and lost my grip on the stroller? So for ten minutes, I was doing the following: jogging, pushing a stroller, jerking an umbrella up and down, dodging people, and avoiding dog poop. 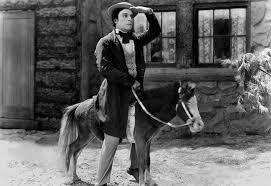 I was doing something that would get a laugh in a Buster Keaton movie–or maybe I should now say an Adam Sandler movie–but I’m fifty years older than Keaton was in his prime: 76. My Keatonesque movements worked. My grandson didn’t get wet, though I was soaked. Yet after dropping my grandson off, I had second thoughts about what I had done. What if I had a heart attack? According to my cardiologist, I have a 33 percent chance of getting a heart attack or stroke in the next ten years. The main factor is my age, not any specific medical condition. Though what I did was a bit risky, my grandson enjoyed the mini-adventure. When he saw his mother the next morning, he said: “Grandad was pushing me in the rain!” He grinned. He has mentioned it several times. That day I did a lot for my grandson. I picked him up from school, made him dinner, bathed him, read him several stories, changed his diaper, and put him to bed. I did this because my daughter was out late with colleagues. The woman who cuts my hair, who is probably in her late 50s, couldn’t believe that I took care of my grandson by myself for a whole day. “Your wife wasn’t with you?” she asked. My wife was not with me because she was busy taking care of our two other grandchildren, who live in Northern Virginia, where my wife and I also live. I’ve had many other mini-adventures with my grandson. I enjoy doing things most men my age would not do–like going down a playground slide. I did this a few weeks ago to show my grandson that the slide wasn’t too fast. It was fast but I managed to land on my feet. After hesitating for a few minutes, my grandson went down by himself. But there are limits to my youthful activities; I’m not going to play in a sandbox! 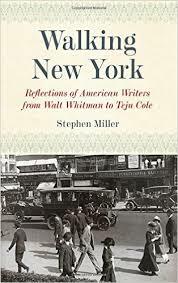 Stephen Miller is the author of many books, including Walking New York: Reflections of American Writers from Walt Whitman to Teju Cole.